​​​ SAN ANTONIO – Worth & Associates has landed its first tenant in the two-story Inwood Village office building. Meritage Homes will occupy approximately 16,000 sf, taking 5,000 sf on the first floor and 11,000 sf on the second floor. The 77,000-sf building at 2722 Bitters Rd. 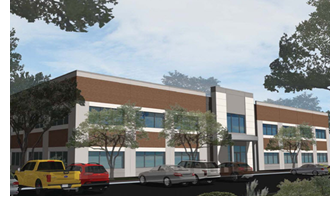 will offer 29 move-in-ready office suites ranging from 1,500–3,000 sf when it is completed in April 2019.